Should You Give Jordan Almonds as Wedding Favors? Not sure about whether or not to give Jordan almonds as a wedding favor? To answer this question, let’s take a step back and understand their history and significance. Then, we’ll show you unique ways to package and present them as meaningful wedding favors in keeping with the tradition of giving Jordan almonds to guests at the reception. Jordan almonds have been given out as favors for centuries. These candy-coated almonds have been said to originate in ancient Roman times when a creative baker and candy maker covered honey over almonds before sugar was discovered. Since then Italians, French, and Greeks have been giving out these confections out during special celebrations from baptisms to weddings. Jordan almonds carry the misconception that they are from the country of Jordan, but in reality the name “Jordan” is believed to come from the French word “jardin” meaning garden, which is where almonds are grown from trees. Five wishes for the new husband and wife: health, wealth, happiness, children, and long life! HOW DO JORDAN ALMONDS TASTE? If you are just as curious as us, you can buy a small bag at nearly every drugstore or discount retailer like Target or Walmart. These are usually available in pastel colors of blue, lavender, pink, yellow, and green, including white. There are also gold or silver coated Jordan almonds for a fancy favor. Once you’ve tried them, you will notice that they really taste both bitter and sweet at the same time, while being a bit more sweet than actually bitter. Perhaps something that won’t readily appeal to everyone, but if you want to give a traditional wedding favor, then giving out Jordan almonds may be a worthy choice. If you’ve decided to give them out as favors, then you’re next step is to purchase them in bulk because they don’t come cheaply. Let’s take a look at where to buy them! You’d definitely want to purchase them by the pound. Prices will also depend on whether you are purchasing them in a uniform color like white or assorted colors. These are the most common prices that we’ve seen as low as: 1 lb. ($6.75), 5 lb ($29.50), and 10 lbs. ($43). Do your shopping wisely! HOW DO YOU PACKAGE AND PRESENT THEM? 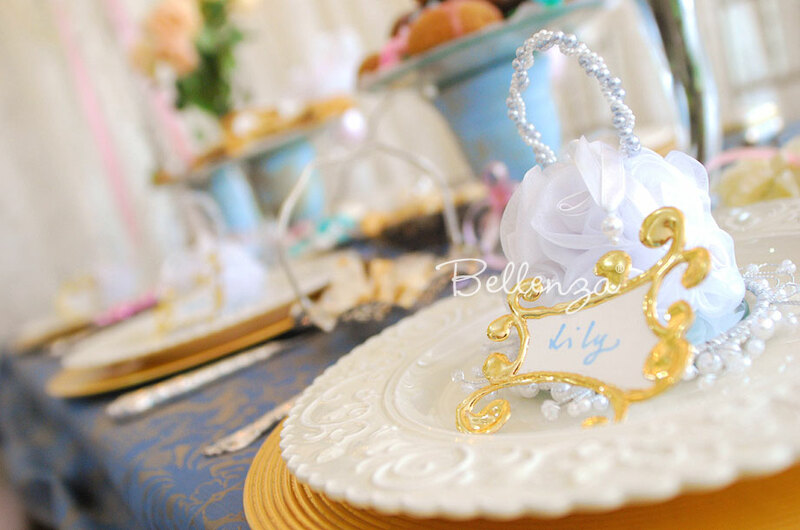 1 – Presented in tulle that is part of a mini wedding gown doubling up as a place card holder: click to view. 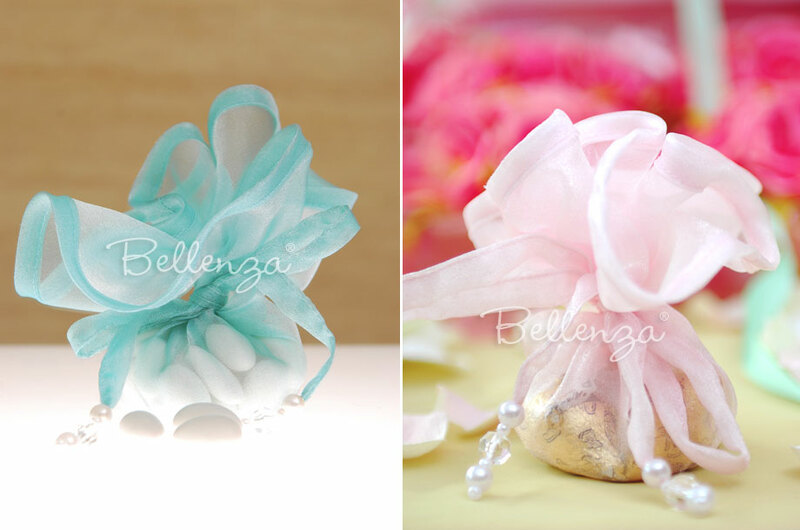 2 – Silk shantung sachets in pastel colors are filled with Jordan almonds: click to view. 3 – Silk favour pouches are filled with white Jordan almonds: click to view. 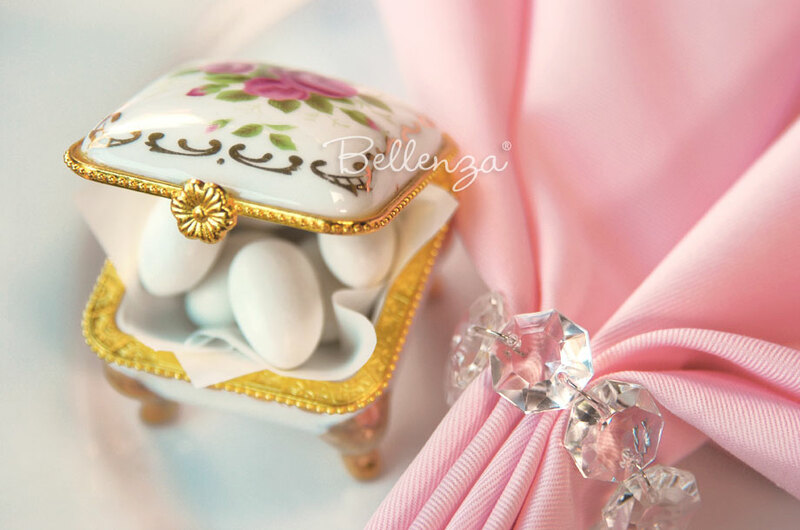 4 - Dainty porcelain boxes are set on a place setting for a pink French-inspired bridal shower: click to view. 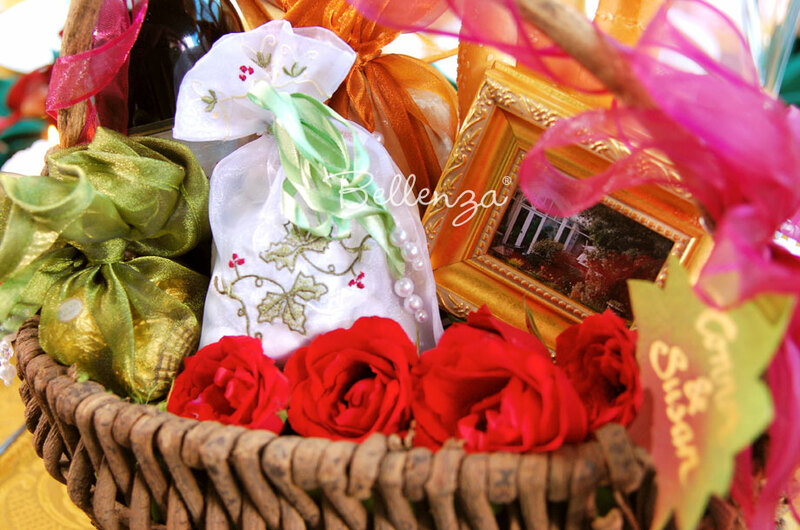 5 – An Italian gift basket for guests are filled with embroidered sachet bags containing Jordan almonds: click to view. 6 – Commonly used for baby showers, fabrics like organza are shaped like circles for a convenient way to present Jordan almonds: click to view. 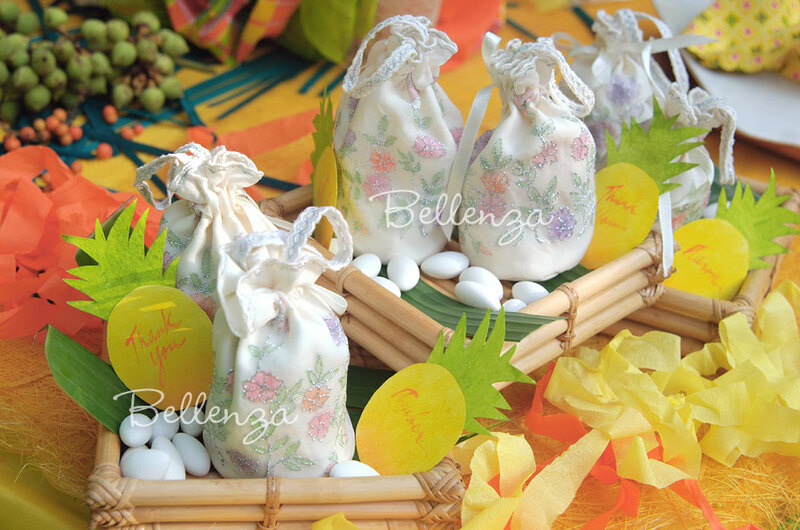 7 – At a fancy wedding reception tea, pomander-inspired sachet bags are given out as traditional favor bags with sugared almonds tucked inside: click to view. With these suggestions, are you convinced about giving Jordan almonds out as a traditional wedding favor?